Isochaetes beutenmuelleri is a moth which is commonly called the spun glass slug moth or the spun glass caterpillar in its juvenile phase. 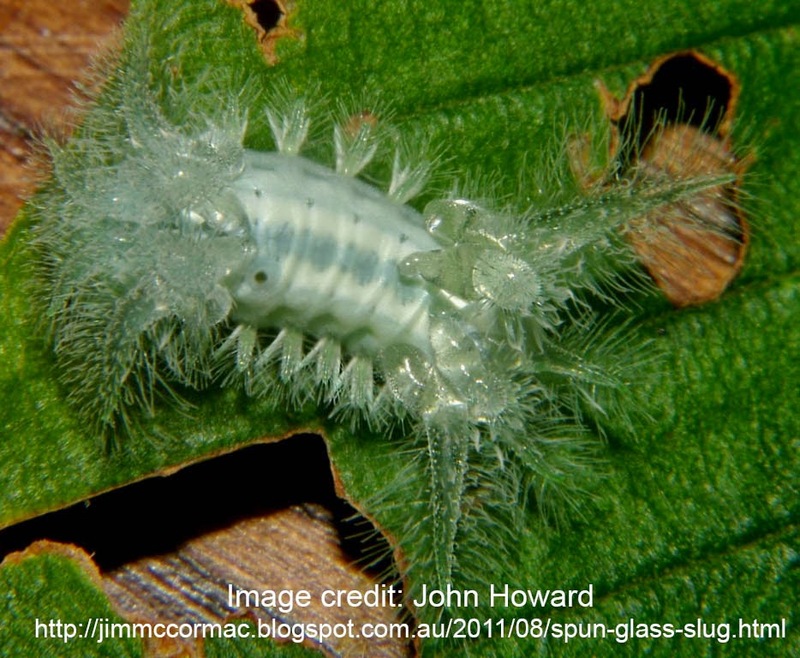 As a caterpillar or a pupa it looks like it is made of glass. These caterpillars are poisonous stinging caterpillars, so don't try to pick them up. 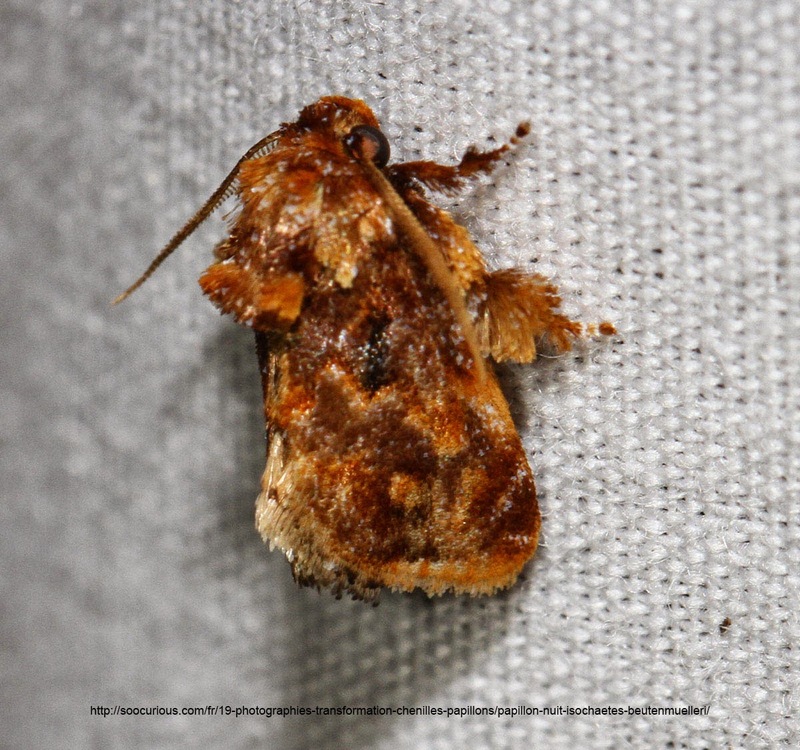 The adult looks pretty much like an ordinary brown moth, albeit quite a hairy one. 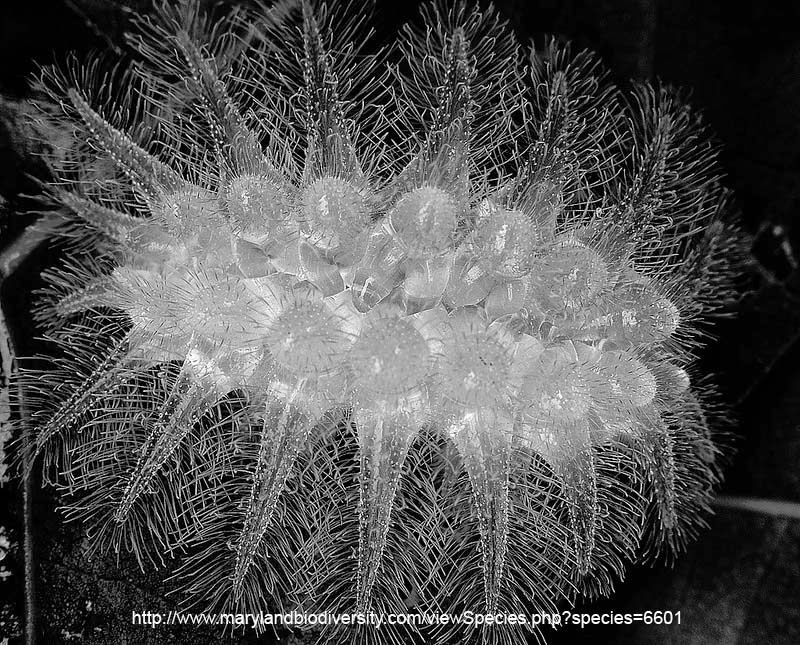 Isochaetes beutenmuelleri are found throughout most of the United States but are absent from the West.